Optional window inserts keep contents visible. 20", 24" and 30" Deep Clear Bins for Super-Size Storage. 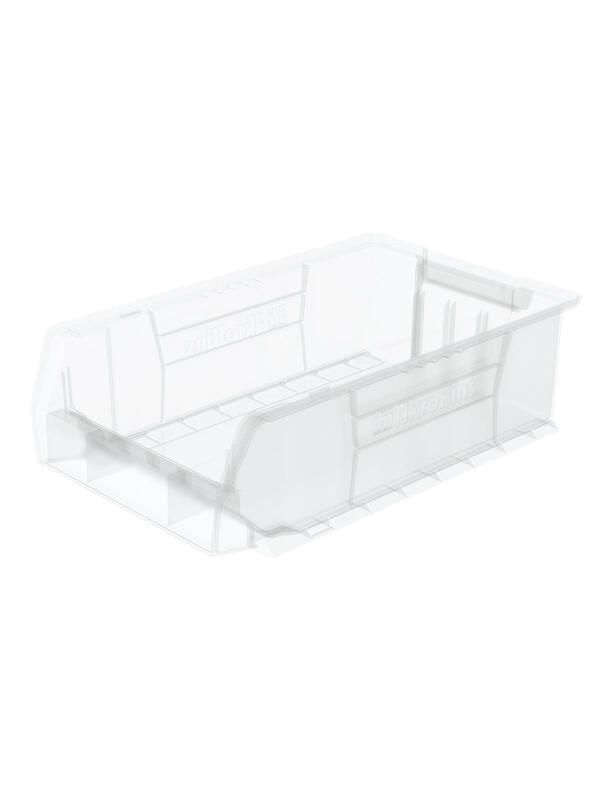 Large capacity storage bins for organizing heavy or bulky items. Heavy-duty bins molded in clear polypropylene. 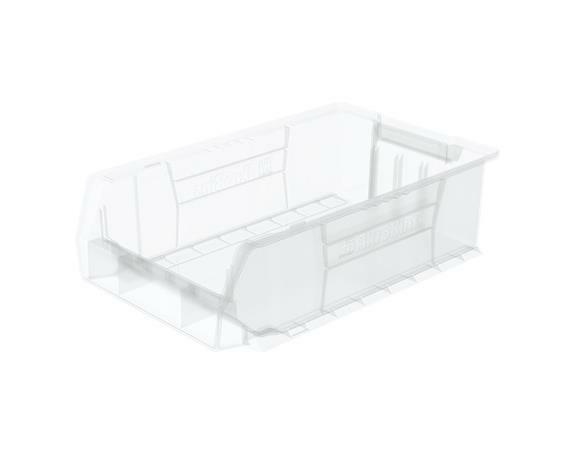 Extra large stacking containers feature anti-slide stop to prevent bins from shifting forward. Reinforced side ribs add strength and prevent spreading when stacked or loaded. Optional lids and dividers available. FOB Shipping Point.